The Leeds housing market is changing year on year, and house prices and trends reflect this. After the recession hit in 2007, house prices fell, and continued to fall throughout 2008, 2009 and 2011. Since the years of decreasing house prices, things are starting to look up, as prices tend to increase every year. So, how exactly is the Leeds property market shaping up? Here at Good Move, we have the latest information and forecasts for selling your Leeds home. The housing marketing in Yorkshire as whole will also expect to see rises in the next few years so you might want to sell your house fast before the increase. Despite prices remaining static this year, you can expect to pay 1.5% more in 2018, 5% more in 2019 and 2.5% in both 2020 and 2021. According to property management company JLL, it’s been forecast that house prices in Leeds are set to increase by 21.6% over the next five years. This is great news for homeowners who plan to sell in the city, as you can expect more for your property than what would be currently offered. The average house price in Leeds currently stands at around £166,303, which is 7% higher than the average house price for Yorkshire & The Humber, which is a little less at around £155,268. While this is great news for homeowners with an aim to sell, it’s not so great news for those who are looking for houses to buy in Leeds, particularly first-time buyers, who may struggle with the hike in prices. How long does it usually take to sell property in Leeds? While the average number of days it takes to sell a property in the UK lies at 91 days, Leeds takes a little less to sell at 80 days on the market. For those who are looking to sell a property in Leeds, homeowners need to factor in the length of time it can take to make a sale, as this can really affect how urgent a homeowner becomes. Just under three months on the market can seem a little unrealistic, and some Leeds homeowners have experienced years on the property market before making a sale. The housing market, need for houses and individual house condition could all have an impact on selling your house quickly. The majority of customers want a quick sale and this can be for a number of reasons, such as financial difficulties divorce, retirement or looking to emigrate. If you do want to sell your house in Leeds fast, property buyers such as Good Move, can quickly buy your house, regardless of the condition. We can provide a cash offer within 24 hours of the request (subject to survey), and can sell your house quickly in around 21 days. What do the surrounding areas have to offer? There are many cities and towns surrounding Leeds that have equally thriving markets, and are just as desirable as Leeds. Bradford itself has a rich history, the city rose to prominence during the 19th century as a centre of textile manufacture, particularly wool, which resulted in it being dubbed the “wool capital of the world”. With an average house price of £130,864, Bradford, which lies just 8.6 miles west of Leeds, offers an excellent range of semi-detached and detached properties. The majority of sales last year were terraced properties, such can fetch up to an average price of £93,752. In our modern society, visitors and residents can enjoy the National Media Museum, the newly opened The Broadway shopping centre and the Bradford Alhambra theatre. The city was also crowned the sixth greenest city in the UK, thanks to its low carbon emissions and high recycling levels. Despite a period of decline, the town has seen extensive redevelopment of derelict mills into flats, and regeneration of city areas, to make it the thriving area it is now. Dewsbury, south of Leeds, is a minister town in the Metropolitan Borough of Kirklees. House buyers can purchase a property a little cheaper than Leeds or Bradford, with an average house price of £129,993. Dewsbury is another town with a wealth of history and the 19th century saw a major period of growth as a mill town. Wakefield is a desirable area to live, and there are plenty of things to do in the city. The ruins of the 15th century Sandal Castle can be explored for hours, as well as modern art at The Hepworth art gallery. The city of Wakefield was known for its corn, coal mining and textiles in the 18th century, as well as becoming an important market town and centre for wool. The average house price is a little higher compared to Leeds’ prices, with the average property selling for around £181,116. 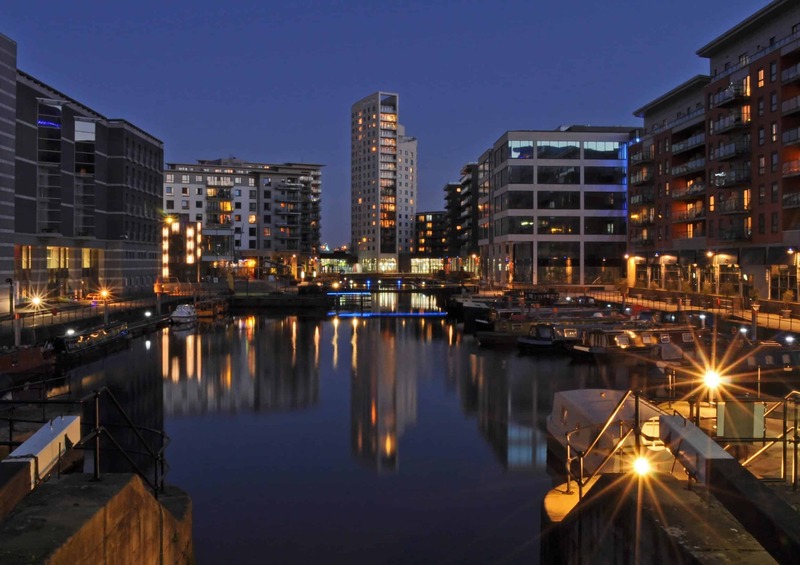 What’s next for property sellers in Leeds? It’s a known fact that one in three transactions made through estate agents fall through due to house chains, so it’s much easier and quicker to sell through a quick property buyer to take the hassle out of selling your home. If you’re considering selling your property in Leeds, you should be able to get a good offer. We here at Good Move can buy your property for up to 85% of the market value. You’ll be able to save on the cost of expensive solicitors, estate agency fees and survey or valuation fees as these fees are paid for you.